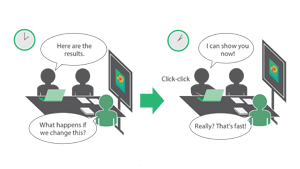 Learn just how easy it is to use PICLS with our PICLS – At a Glance Webinar! 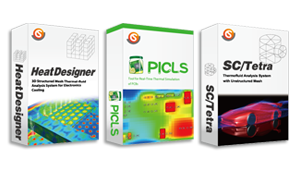 “With the help of scSTREAM’s high performance and efficient distributed computing system, we were able to quickly create very detailed models of over 20 million mesh elements, and perform many design verification and optimization iterations per day, including flow path optimization, fan sizing, heat sink optimization and placement,” Mr. Villers explained. As their analysis results obtained in scSTREAM showed an excellent correlation with predictions, the unit passed qualification testing with ease and is now operational on board the US Navy E-2D. 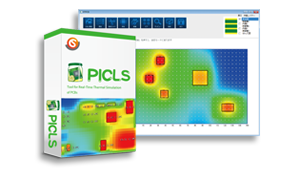 Hitachi’s design engineers utilize PICLS to check heat transfer and evaluate changes in temperature distributions in real-time, with the result of minimalized analysis tasks, shortened evaluation time, and accelerated development time. “In talking to our design engineers, I thought it would have been useful if I had been able to show analysis results in real time and suggest possible solutions on the spot while I’m talking to the engineers about their thermal design problems,” explained Mr. Usui. Cradle HeatDesigner quickly and efficiently meshes and solves electronics cooling thermal models containing tens of thousands of components due to its robust and efficient solver. 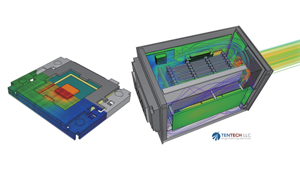 Learn more about electronic applications that can be thermally simulated through multiple case studies, leaflets, and animations. Stay Cool and Get Connected with Fujipoly’s Product Guide FREE Download! Fujipoly’s free 42-page product overview and technical design guide includes helpful installation suggestions as well as detailed thermal performance data points. 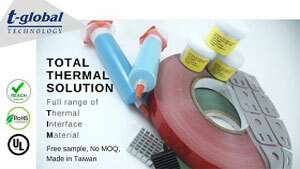 New pages of high-performance thermal materials have been added to complement Fujipoly’s current product assortment. 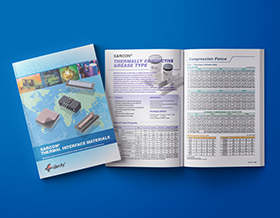 Download a copy now to learn what Fujipoly Thermal Interface Material you need for your specific application. T-Global Technology is dedicated to developing and manufacturing superior thermal interface materials for the competitive market. Our vast experience allows us to assist our customers best in the thermal engineering field. We serve customers with NO MOQ, customized products, a full product line and flexible production which makes us be the best and most reliable partner to you. Let’s make your design more perfect!